Rostec is demonstrating over 280 models of weaponry and military equipment at the international conference and exhibition AFRICA AEROSPACE & DEFENCE 2018. The exhibition is taking place on 19-23 September at Waterkloof Centurion Air Force Base in Pretoria, South Africa. During the exhibition, visitors have a chance to see helicopter and armored vehicles, air defense equipment, patrol boats, small arms, as well as technical means for special units, border protection and especially important facilities. Within the framework of the united Russian exposition with total area of more than 350 square meters High Precision Systems (Vysokotochnye Kompleksy), Russian Helicopters, Machine Engineering Technologies Holding (Tecmash) and Ruselectronics present their samples. “In recent years the volume of the arms market in African countries has demonstrated a steady growth, which creates premises for expanding our presence in the region and bringing our military products to new markets. Moreover, we offer a flexible, integrated approach, which is not limited to the supply of weapons, but can also include after-sales services, training of specialists, logistics solutions, opportunities for localization of productions,” said Victor Kladov, Director for International Cooperation and Regional Policy at Rostec. 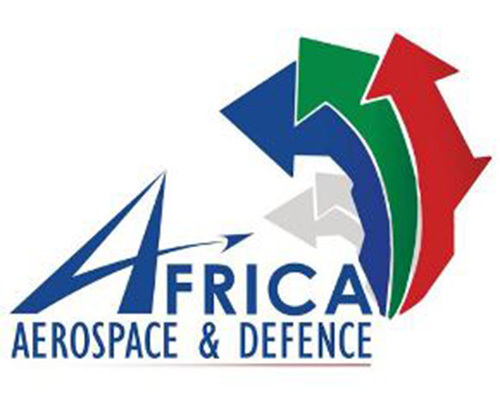 “AFRICA AEROSPACE & DEFENCE is the most important marketing event, gathering representatives from the most part of Sub-Saharan Africa. Rosoboronexport consider these states as strategic and long-standing partners. Just over the past two years we signed 20-plus contracts with them. Our estimates suggest that the regional market of military equipment will demonstrate stable growth,” said Rosoboronexport’s Director General Alexander Mikheev. This year, the Tecmash Concern showcases a universal contact aircraft detonator for air bombs. In addition, Tecmash displays over 20 other showpieces, including shells for the Grad and Smerch multiple launch rocket systems, aviation and tank munitions. The Ruselectronics Holding presents its products for a single tactical control system and also shows a command and observation machine from the complex of automated anti-tank formation control systems. Foreign delegates are expected to show a keen interest in Russia's armored vehicles, namely in the BTR-80A and BTR-82A armored personnel carrier as well as in Tigr special-purpose police vehicle. As to air defense solutions, the region has a high demand for the Pantsir-S1 anti-aircraft missile and gun system, as well as for portable air defense missile complexes Verba and Igla-S.
International exhibition of defense and aerospace industry Africa Aerospace and Defense 2018 unites over 35 participating countries. Rostec is a Russian State Corporation established in 2007 with the purpose of facilitating the development, manufacture and export of high-tech industrial products for both civil and military purposes. It incorporates over 700 entities that currently form 11 holdings operating in the military-industrial complex and 4 holdings active in civilian industries, as well as over 80 directly supervised organizations. Rostec’s portfolio includes such well-known brands as AVTOVAZ, KAMAZ, Kalashnikov Concern, Russian Helicopters, VSMPO-AVISMA, Uralvagonzavod, and others. Rostec companies are located in 60 regions of the Russian Federation and supply products to the markets of over 100 countries. In 2017, Rostec’s consolidated revenue reached RUR 1.589 trillion, its consolidated net profit was RUR 121 billion, and EBITDA was RUR 305 billion. According to Rostec’s Development Strategy, the mission of the Corporation is to ensure Russia’s technological advantage on highly competitive international markets. One of Rostec’s key goals is to implement a new technological way of living and to promote the digitalization of Russia’s economy.